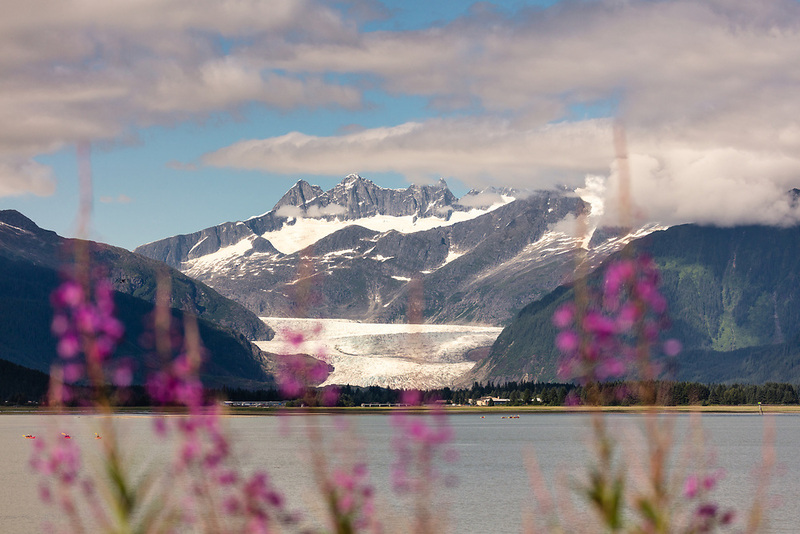 Fireweed (Epilobium angustifolium) frame the Mendenhall Glacier near Juneau in Southeast Alaska. Summer. Afternoon.